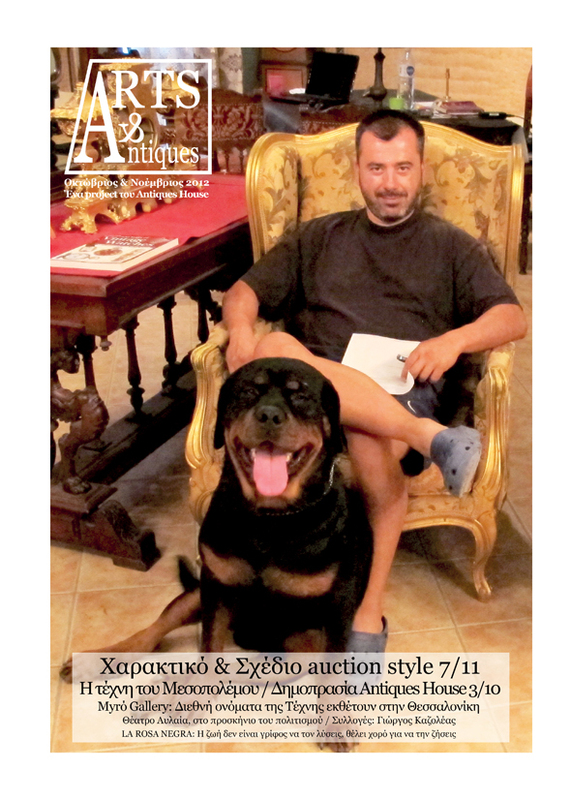 IF the Editorial of this new issue of Arts & Antiques magazine, in the brand new issue that's being distributed these days in Thessaloniki, had a title, this could be "optimism and extroversion are the antidote to the crisis." The reality rewards courageous entrepreneurial endeavors, and we see significant opportunities coming from abroad in the Arts market. The season begins with optimism and new challenges for those who can see them. Moreover, in all our business activities partnerships are launching. In an original auction, unique in its kind for Greece, “Antiques House” in collaboration with the gallery of Lola Nikolaou and leading engravers and painters will make available to the public a number of masterpieces at shockingly low prices, which certainly will not be found anywhere else. Prices are formed at extremely low cost since everyone involved -the first and foremost artists- have contributed to low prices in order to give the public the opportunity to acquire works by understanding the demanding conditions of the market amidst the financial crisis. In Myro Gallery the season begins with two international project. The first (opening Sept. 27) is the work of a collective of international artists “TeeToTum” curated from two greek artists -Fotini Hamidieli and Georgia Grigoriadou respectively. The artists whose work is presented in this exhibition constitute examples of strength as each one of them has successfully overcome or is in the process of dealing with a crisis of some sort. The curators state about the exhibition: “They have not allowed a crisis to bring them down but instead they have used it to expand their boundaries using their inner strength in a creative manner. Through their work they reflect on their lives, expressing creatively their turmoil, providing a voice for other people so they may also find relief in the realization of a common fate. The word 'crisis' is too often heard nowdays in the media all over Europe and particularly in Greece. It is heard in everyday conversations, it is in the lips of old and young alike taking on very negative proportions. We can find ways, we must find ways to diminish the negative force and connotations of "crisis". Art is an excellent means to provide some balance and tranquility in our lives”. The exhibition will present works of 21 artists and a finissage is being scheduled at October the 25th with a performance orchestrated and accomplished by Miss Helena Tonikidi, who is also contributing 3 paintings to the exhibition. In November we present another exhibition with an international flair, titled “Watercolour International. 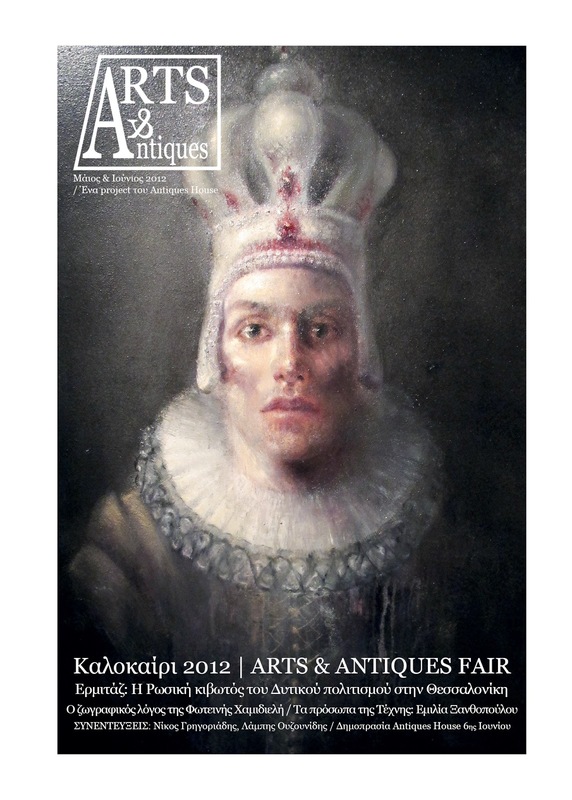 More than twenty watermedia artists will participate in an exhibition in the Myro Gallery in Thessaloniki from November 1 to 24, 2012. Artists from Greece, England, USA, Canada, France and Belgium are participating in, and celebrating International Watercolor Day on November 23rd - a day proposed by Guati Rojo from Mexico (Mexican Society of Watercolor Painters). The visitor will have the chance to meet important, successful and award winning watermedia painters as well as get acquainted with their work. Visitors will be able to see different and innovative approaches; variations of technique and experimental ideas and methods. Pure watercolours, along with gouache, collage, inks, acrylics and mixed media either on paper or canvas will be exhibited, showcasing modern watermedia. Several demonstrations will take place during the exhibition.